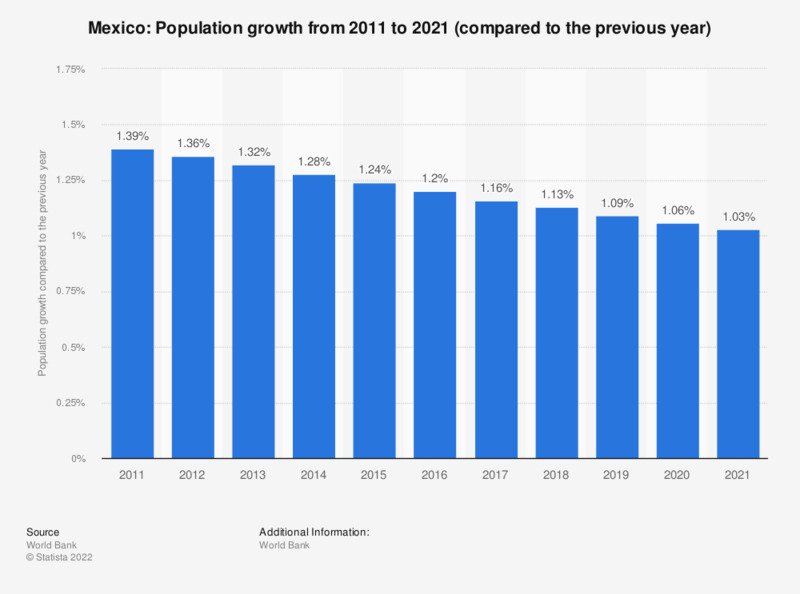 The statistic shows the population growth in Mexico from 2007 to 2017. In 2017, the total population of Mexico grew by about 1.26 percent compared to the previous year. Among the largest cities in Mexico, Mexico City is leading with more than 8.5 million inhabitants.